Find my other reviews of this show at my Review List. 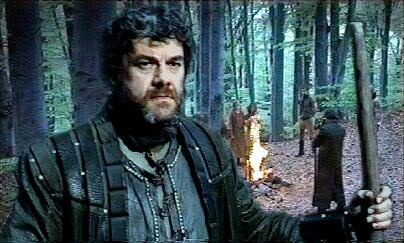 Recommendation: At last we have Robin leading a band of outlaws, fighting the Sheriff from the (sometimes elusive) safety of the greenwood and being a pretty decent chap to all the poor oppressed townsfolk even when they turn against him. Exactly what I signed up for. Overall it’s another fun episode with a good bit of roguish action. Much like the others. As usual, the story is fast-paced and entertaining, if not always brilliant, and I’m pleased that Robin’s defining character traits are his dual senses of honor and justice, and his unwillingness to sacrifice either. The show likes to throw tough moral decisions his way, which is as it should be, and while they don’t elicit quite the gravitas that a show like Doctor Who, or even Highlander, does, they still help to give the proceedings a bit of depth and redeeming value. The action remains just this side of cartoony, and is a good deal of fun. Also, I note with interest the presence of a black British character in a high-ranking position, whose anachronistic presence (like the anachronistic clothing, weapons, and just about everything else) goes uncommented on. 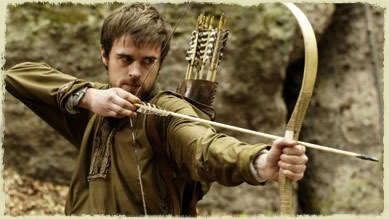 This should be a clear indication of the kind of show Robin Hood is. Also noteworthy: while this is a family show, moreso even than Doctor Who is, by my reckoning, it’s not afraid to kill off side characters. This episode in particular involves a number of innocent people getting shot with arrows, and Robin himself blamed for their deaths. Nothing is bloody or dwelt on, but some parents might consider it too intense for their children. While this episode does end with Marian being slightly less hateful than previously, it precedes this with a particularly irritating example not only of her hypocrisy, but of her determination to disrespect Robin at every turn. Part of this is the writers’ fault, and part the actress’. 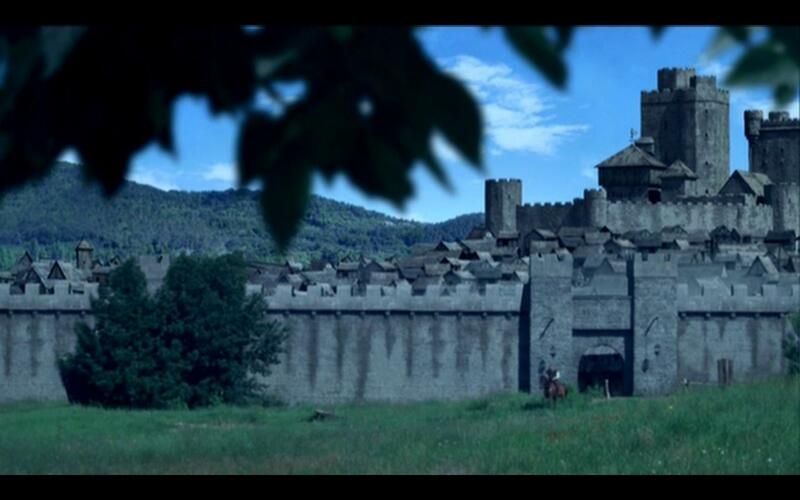 The scene involves a night where Robin has snuck into the castle to deal with the Sheriff and hides in Marian’s bedroom to escape from searching guards. While Marian doesn’t hesitate to hide him, she has the gall to castigate him for never showing his feelings and acting as if he can’t be hurt. Apparently, this is how she interprets his righteous anger at the Sheriff’s violent oppression, his anguish at the tragedies that befall his serfs, and his unhesitating self-sacrifice for others. She’s seen it all herself—in fact, I complained about a similar scene in the previous episode where her illogic is even worse. Rather, it is Marian who comes across as arrogantly untouched by Robin’s selfless sacrifices. While it is revealed that she does have her own ways of combating the injustice of the Sheriff and Guy of Gisborne, she doesn’t emote it at all, and lack of emoting is her very accusation against Robin! Marian is presented as cold and immature, whereas Robin—though he’s not my favorite interpretation of the character—does appear to have considerable self-control. Like we can't tell you're a girl when you pose like that, really. 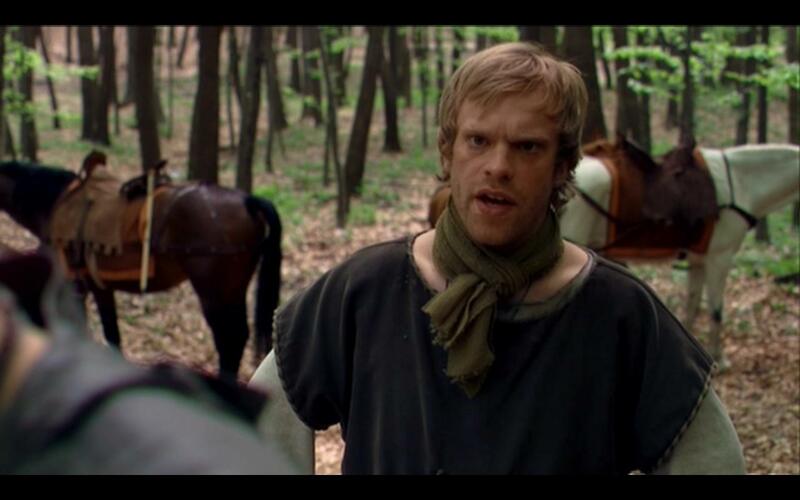 [SPOILER] The end of the episode reveals that Marian herself is the mysterious Nightwatchman, who is also handy with weapons and was doing some minor fight-the-oppression-and-help-the-poor work before Robin returned from the Crusades. Since I knew this show wanted to make Marian a “tough action girl,” I wasn’t surprised or unduly annoyed by this. I mean, it is annoying because the show doesn’t need it and her character doesn’t deserve it, but to be honest, when she finally had to confess it to Robin, and he was amused but kind of pleased, she actually became less annoying. Who’d have thought? Content Advisory: Light PG-13 violence of the swashbuckling sort, the threat of someone’s tongue being cut. Reason for Watching: Had a spare hour and decided to continue on from Episode 1. There’s more fun swashbuckling in this episode, and I quite enjoyed it. You can’t take it seriously, of course – it’s pure camp, winking at the audience the whole way and just generally trying to have a good time. That’s why I’m finding it easy to accept the offenses against history, logic, and physics, so far. It’s also why I’m getting increasingly annoyed by the character of Marian. All the other characters seem half aware that they are in a swashbuckling comedy (Robin more than half), but Marian takes herself far too seriously. Consider this: near the climax of this episode, Robin has turned himself in to the sheriff in order to save the peasants of Locksley from the Sheriff’s violence. 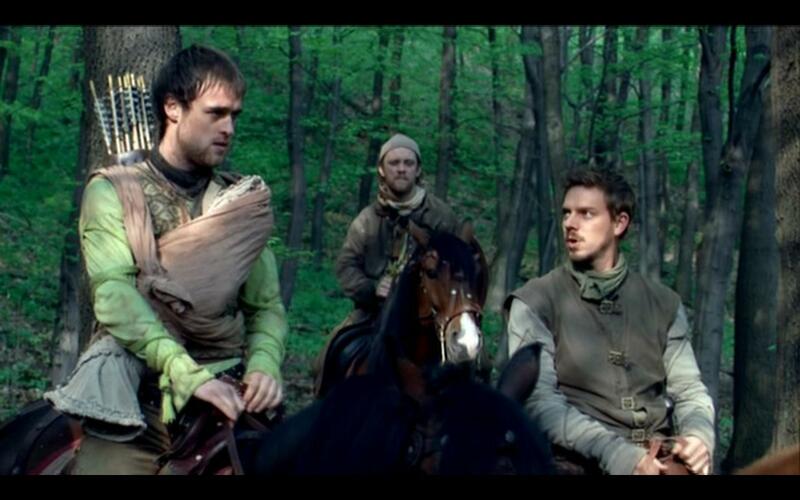 Robin is sentenced to hang the following morning, but naturally Marian visits him in prison with the intention of helping him escape. Before she does this, however, she tries to chew Robin out for being a selfish “fool.” Her reasoning is this: Robin gave himself in, which means he’ll die, which means he won’t be around to protect the people of Locksley, which means he did the wrong thing. Robin laughs at this nonsense, but likes her too much to point out just how illogical she is. Because, following her reasoning, Robin should be protecting his people by doing something which leads directly to their gruesome mutilation. She won’t even admit to his honor and integrity in doing this. Now, to be fair, much of her frustration with Robin comes from her own hurt feelings regarding him leaving for the Crusades while they were still engaged—but then who is being selfish? At any rate, Marian is the only character who is a complete bore when onscreen. 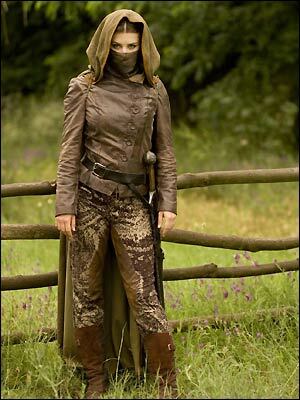 She doesn’t seem to realize that in a Robin Hood show, you’re supposed to have fun! Fortunately, the other actors get this very well indeed. 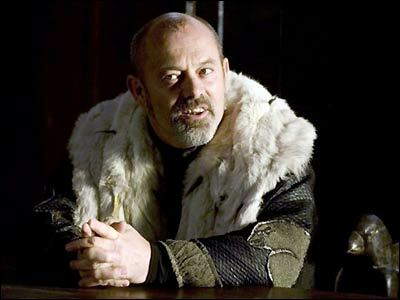 Special mentions here go to Keith Allen as the entertainingly despicable Sheriff and Gordon Kennedy as Little John. The former is quite a cunning fellow, as he quickly deduces that Robin values the lives and freedom of others far above his own life, and will not kill unless it is the last resort to save lives. And the latter gives this episode its emotional weight, as we learn he has a son in Locksley that he’s never seen, on account of his being an outlaw for so long. Kennedy is older and appears far more mature than the other young men onscreen, and that works greatly in his favor. This isn’t a buffoonish Little John, or a simple one—he may express himself forthrightly, but there’s lots of thought behind his eyes. I like this portrayal—he’s easily my favorite of the band so far. And it’s nice to see Robin effectively at the head of the outlaws by the end of this episode. 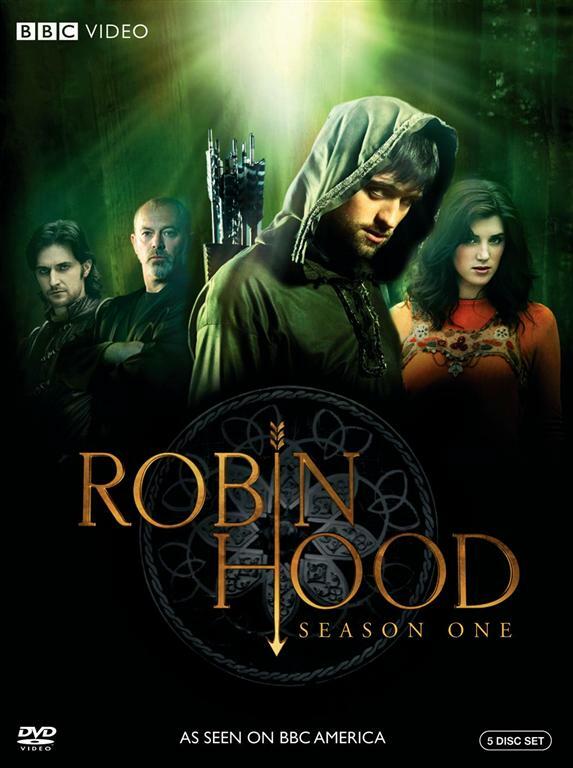 Every Robin Hood movie or show wants to start with an origin story, so it takes an episode or two for him to make friends with the outlaws and become their leader. It makes sense to do this, but the part I really came for is all the robbing from the rich, giving to the poor. Hopefully, that may now commence with gusto! Ta-da! This is my 100th post since The Warden’s Walk went online in November of 2010. It has been visited 15,214 times since then, has 23 active subscribers, and, I hope, has been of good use and interest to all of you. July has been upon us for over a week now, and it is time I let you know what I’ve been up to. These are the reviews I expect to have done this month. Highlander Season 2 has been finished some time ago, and the review is in progress. One of my favorite characters leaves only a few episodes in, but the writing is noticeably getting better. Happily, the writers are showing a greater interest in history, and I hope they continue down that path. I am now re-watching parts of Doctor Who Series 3, taking notes for review this time. Some fantastic stories get told, the best of them (“Human Nature”/”The Family of Blood” and “Blink”) back-to-back. While Martha Jones isn’t as interesting as Rose was, she is competent and fairly likable. Additionally, I have finished Myst: The Book of Atrus, and hopefully shall not wait too long before reviewing it. The book directly engages questions relating to the art and nature of writing itself, and I’d like to examine how the book’s discussion relates to similar ideas proposed by the likes of Lewis, Tolkien, and MacDonald. Other possibilities include further reviews of the BBC’s Robin Hood Season 1 episodes and the occasional movie review. I am currently reading The Dragonheroes by Blake Garrett Anderson and Lilith by George MacDonald. Reason for Watching: My cousin lent me Season 1 so I decided to give it a go. Episode Re-watchability: Minor, I suppose. It’s fast-paced and reasonably fun, though not particularly clever. Recommendation: Fun episode that makes clear that you should not take this show seriously. Not brilliant, but fairly well-made and fun. 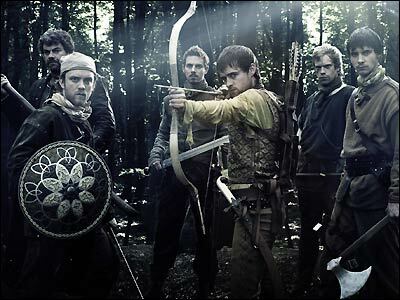 When the title zoomed onscreen to the exaggerated sound of arrows hitting a target, I realized just how proudly the BBC’s Robin Hood wears its camp on its Lincoln-green sleeves. 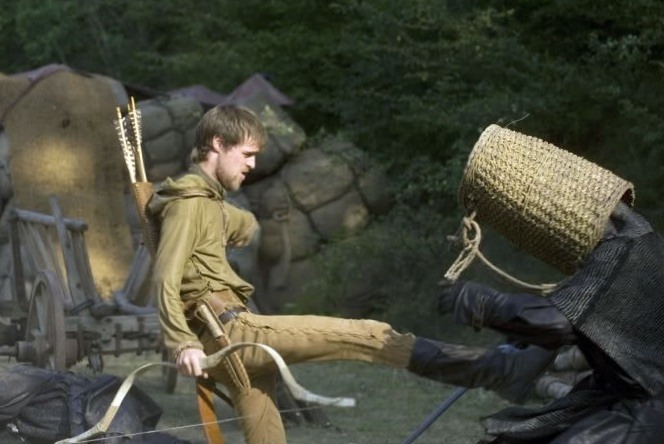 This realization prepared me so I could laugh when, in later instances, Robin shows off his “Saracen” recurved bow (actually a modernized version of a Hun bow, but nevermind), fires two arrows at once to split some hangman’s ropes (a modest homage to Carey Elwes, perhaps? ), and gets saved by a pointy hairpin thrown with deadly precision at a range of many yards by Marian. Historical accuracy and realistic physics are thus ignored, and I have no great hopes for the legend being strictly adhered to either. The actors all seem capable and possessing of comedic talent, although I notice that not only are all the male heroes young (which makes sense for Robin and his outlaws), but they all seem to have the same lean, rather short body build. This, combined with their acting styles, makes them all seem like rowdy college boys rather than young men who are trying to find their place in the world. Robin himself is good enough. He’s a bit more serious than his mates, but not without a roguish side or a touch of emotional depth. Much (in other versions called “the Miller”) is the comic relief, filling, at this point at least, the role of Robin’s best friend and former manservant during the Crusades. Allan A Dale looks like he’ll be a fun rogue when he joins the group proper, and Will Scarlet, while young and idolizing Robin, has a chance of developing a measure of maturity, if the writers so decide. At this stage, I’m not too thrilled about Marian. She’s cold and haughty towards Robin, despite apparently being his childhood crush, and despite him clearly being a pretty cool and morally upright person who doesn’t think twice about standing up to corrupt and powerful officials for the good of his own people. She does save Robin’s life with the above-mentioned hairpin-dart, but otherwise is an annoyance for her self-perceived and nonexistent superiority. 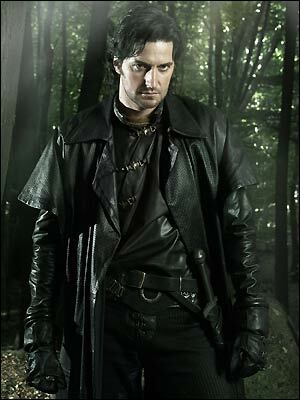 On the villain’s side, we have a typical, but not unwelcome, campy, beard-stroking, evil-chuckling Sheriff of Nottingham, but the real standout is Guy of Gisborne. He has been managing Robin’s lands while the hero is away on the Crusades, and has been managing them at the behest of the Sheriff, oppressing and over-taxing the people as medieval villains do. But when Robin returns to assume control of Locksley, Gisborne acknowledges Robin’s lordship and backs out. Not happily, mind you, but he does, despite having a troop of armed men nearby. The evil Sheriff quite naturally berates him for letting go of the lands so easily, but Gisborne seems reluctant to so flagrantly break the laws protecting a noble’s rights to his own land. Even if that noble is an annoying do-gooder who can’t keep his mouth shut like Robin. Whether this comes from respect for the law, for noble status, or from cowardice, I do not yet know, but I am intrigued at the possibility that a shadow of integrity lies within Gisborne’s grim, brutal façade. What little I had heard about this series had not enticed me to give it a chance, but now that I’ve seen Episode 1 I think I can have some fun with it, at least for awhile. So! I am preparing my episode-by-episode review of Doctor Who Series 2, with David Tennant as the Tenth Doctor. It will probably still take a little while to finish, but I’ve got more notes on each episode than I did for the previous series, so hopefully it’ll go faster by comparison. Also, I finished my long-postponed reread of Rosemary Sutcliff’s Eagle of the Ninth, and am writing that review too. I’m trying not to compare it too much to the movie adaptation, but certain observations will be made. Books that I am reading for review are The Dragonheroes by Blake Garrett Anderson and King Arthur’s Children by Tyler Tichelaar, the former an epic fantasy novel in the tradition of David Eddings and the latter a scholarly study of, well, the children of King Arthur in fiction. Recently I have purchased Ysabel by Guy Gavriel Kay, Hood by Stephen Lawhead (first in a trilogy that reimagines Robin Hood in a Welsh semi-fantasy setting), and Rudyard Kipling’s Tales of Horror & Fantasy, edited by Stephen Jones with an introduction by the one-and-only Neil Gaiman. It shall be some time before I get to the novels, but perhaps now and then I can review one of Kipling’s short stories.